Looking for fabulous 80th birthday gift ideas? It can be hard to find a memorable gift for someone who is 80 years old! You’ll want to find a present that’s unique, thoughtful, and worthy of this milestone celebration. 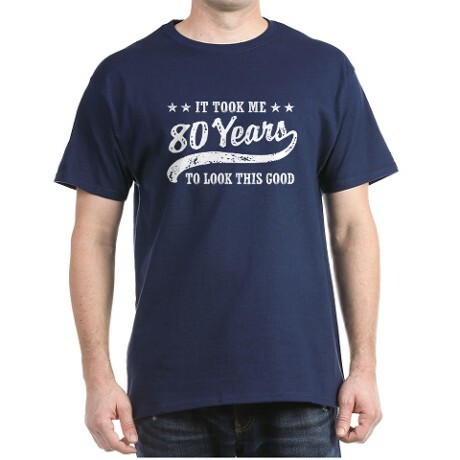 Quickly find just what you’re looking for in our hand-picked collection of the best gifts for the man or woman who is turning 80! One of the most popular milestone birthday gifts for someone turning 80 is a present that incorporates the front page of the newspaper from the day they were born. It’s a great way to look back and see what life was back all those years ago. 1. The Ultimate Birthday Book by The New York Times - Our top-selling gift, this memorable book includes every New York Times birthday front page for all 80 years! Sure to spark memories and conversation, this exclusive personalized book is the perfect 80th birthday gift for the man or woman who has everything. The 140-page heirloom gift includes a photo-packed 24 page timeline, 5 pages of newsworthy events from the chosen year and a collection of world-changing headline pages. It's a wonderful walk down memory lane - an impressive gift for the hard-to-buy-for senior. 2. The Day You Were Born History﻿﻿ ﻿﻿Canvas - Striking personalized canvas features historical events and prices from the day you were born. A fun stroll down memory land - and a clever gift for the hard-to-buy for man or woman! 3. 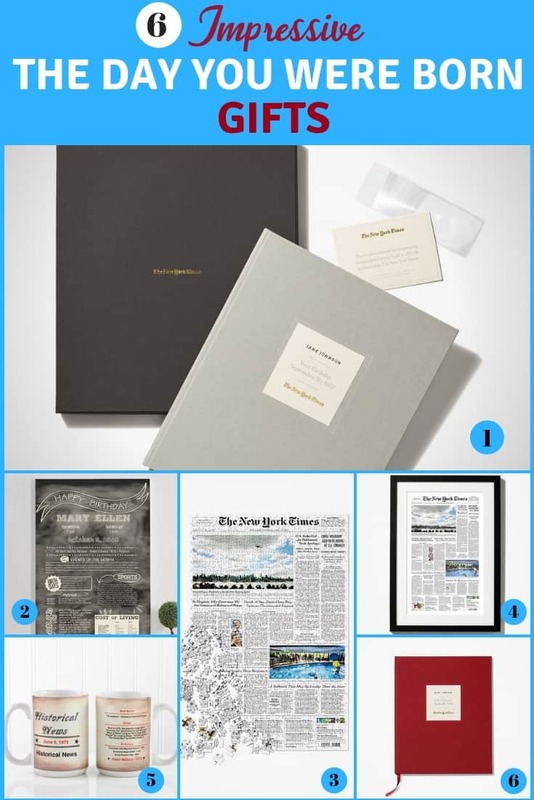 The New York Times Front Page Jigsaw Puzzle - The recipient will enjoy hours piecing together history as they put together a jigsaw puzzle that features the front page from the day they were born. Fun for family and friends as well. 4. The New York Times Front Page Reprint - Handsome reprint of The New York Times from the day they were born is a marvelous way to commemorate this special birthday. Perfect for the man of woman who has everything! 5. The ﻿D﻿ay You Were Born Personalized Mug- Cute mug is personalized with name and birthdate, and features trivia about the top movies and songs, as well as the names of popular celebrities. Fabulous inexpensive 80th birthday gift idea! Gift baskets are a fabulous idea for any birthday! My top pick for ​birthday gift baskets is GiftTree. They offer an amazing selection of top-notch gift baskets, towers and crates in loads of different themes. They also offer personalized ribbons on many of their gifts, which allows you to express your own unique birthday wishes. Prices range from under $20 for cookie towers to over $300 for extravagant wine gift baskets. Are you wondering what the traditional 80th birthday gift is? 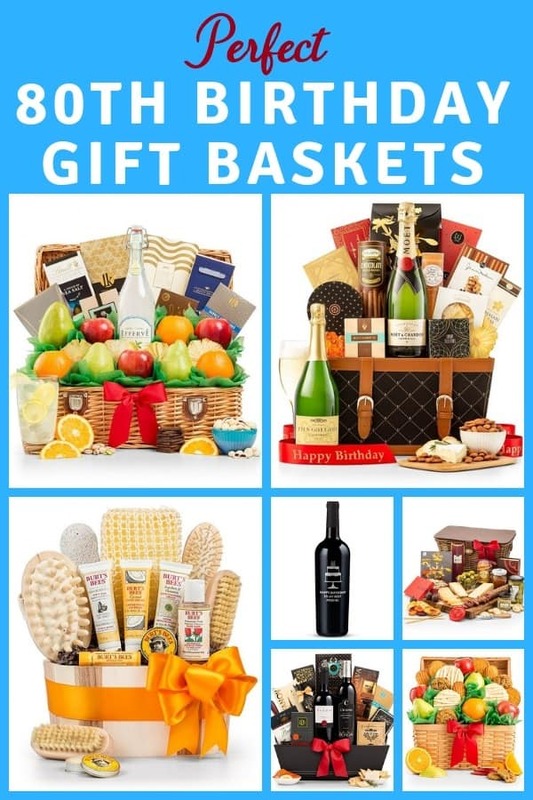 The customary gifts for someone turning 80 are The Day You Were Born gifts (featuring historical information about their birth date), gift baskets, personalized gifts, and other symbolic presents. Read on to quickly find the most popular gift ideas that are perfect for the man or woman who is celebrating an 80th birthday! Official gift lists are associated with anniversaries, not birthdays. For an 80th anniversary, the traditional gift is oak, while the modern gift is diamonds or pearls. The idea of official gift lists doesn’t carry over to milestone birthdays, however, which leaves you free to choose anything you’d like without having to worry about sticking to a tradition. Turn precious memories into a gift by adding pictures to a gift such as a coffee mug, blanket, a canvas , Christmas ornament, a keepsake or a pillow. My top pick for photo gifts is Shutterfly. They’re experts in photo gifts, and are well-known for the quality of their work. A gift that’s sure to be appreciated by any senior is a photo book, and Shutterfly offers a Milestone Birthday photo book design that’s perfect for showcasing a lifetime of memories. Their easy-to-use design tool and choice of embellishments makes it fast and easy to create a photo book that’s sure to impress! A special occasion such as this is a wonderful time to let the birthday celebrant know how much he or she means to you and has made a difference in your life. 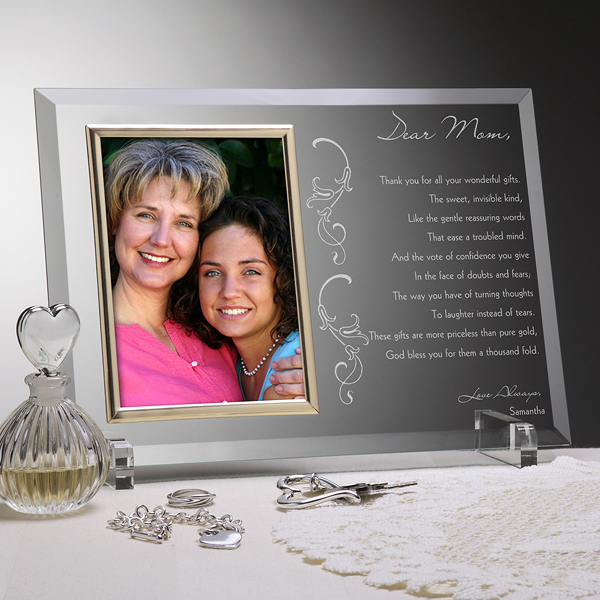 Personalization Mall is a great site to purchase sentimental gifts – they have jewelry boxes, keepsake plaques, clocks, frames and other gifts that can feature a personalized poem or message. It’s also a great place to get inspired if you’re stuck on finding the right words – each present features several pre-written poems or messages that can spark ideas for you. Just click on the individual present to see the poem choices. 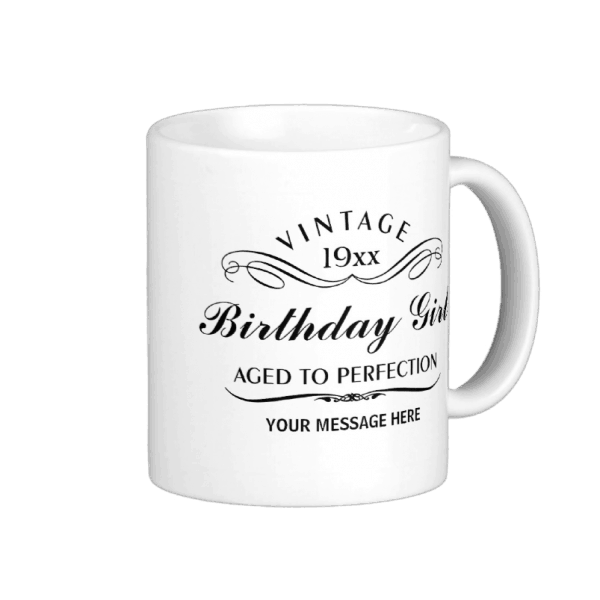 If you’re looking for gifts under $25, check out the great selection of inexpensive 80th birthday gifts at Zazzle. You can choose from notebooks, t shirts, coffee mugs, memo pads, keychains and more in an almost-overwhelming selection of styles. If you just want a little token, consider getting an 80th birthday button at Zazzle – prices start at around $3, and are fun for the birthday guy or gal to wear on this special day. If the birthday celebrant is healthy enough, consider giving him or her a long-dreamed-of destination. If you can, try to make it a family trip or a trip with friends as well. The birthday guy or gal will treasure the memories of a trip long after it’s over. Many seniors are a bit lonely, and there’s a good chance that what he or she might enjoy the most is spending time with you. Take them out for lunch or dinner, visit a museum, go to a movie or sporting event, or plan a special outing that you know they will enjoy. A homemade gift is a gift from the heart! If you’re the crafty sort, consider making a quilt out of their old shirts (see this Pinterest board for inspiration). You can also make amazing homemade birthday gifts even if you’re lacking the crafty gene. Check out these great family tree thumbprint templates, this adorable bouquet of photo flowers, and this sweet 80 reasons we love you frame. If you’re in need of a little inspiration, check out Pinterest…there are always loads of homemade birthday gift ideas there! An 80th birthday is the perfect time to let your mother know how much she means to you. Touch Mom’s heart on this milestone birthday with one of our hand-selected presents. 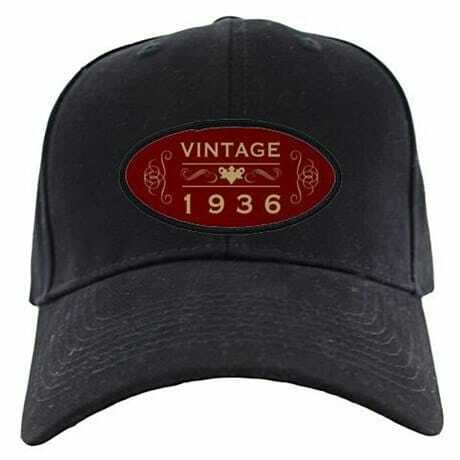 Trying to think of a fabulous 80th birthday gift for dear old Dad? Our gift guide for Dad will help you find a memorable present in no time! If you’re looking for a special gift for a woman who’s turning 80, check out this gift guide – you’ll find loads of great ideas for your favorite senior lady! Looking for a present a guy who’s turning the big 8-0? Check out our selection of men’s gift!